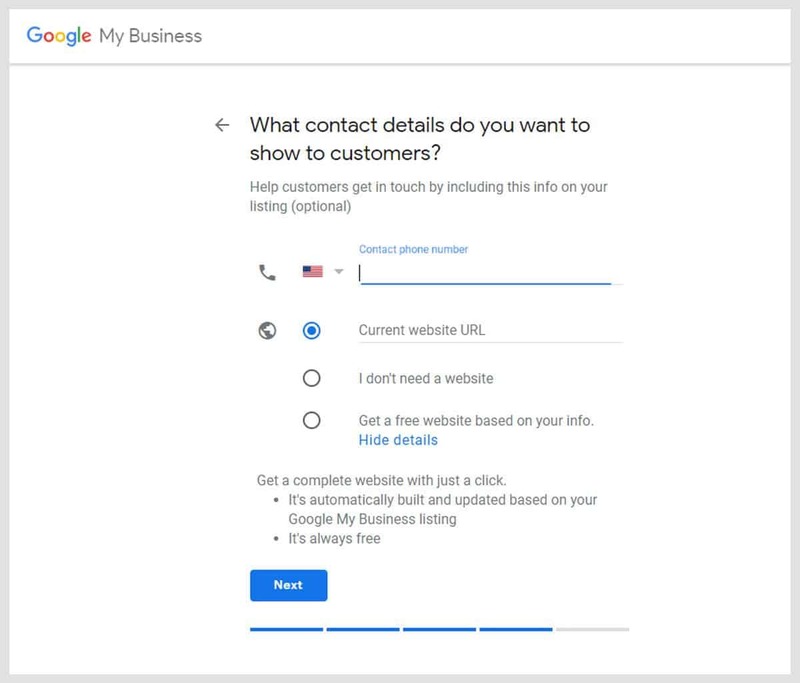 Before you set up your Google Business account, you first need to understand the use of Google My Business and how it helps your business. It simply helps you reach out to customers that are searching for your business, or similar businesses. Google will then feature your profile on the search or maps engine. This helps to convey basic information about your store such as address, location, opening hours, contact number, websites, reviews, and more to customers. 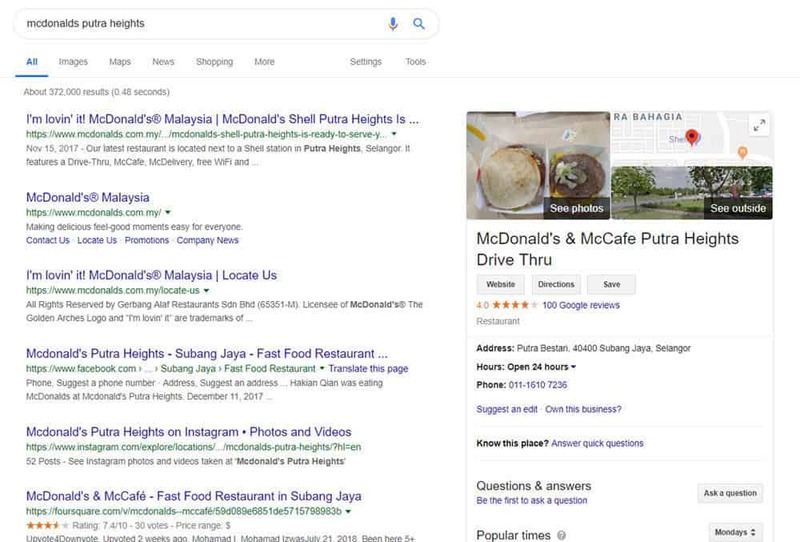 Just to give an example, here is a screenshot of me searching for “McDonalds Putra Heights” as it is the closest outlet to me. Looking at the screen shot above, it has given me just enough information regarding the McDonalds outlet without having to enter the website. I can immediately call them, or check for times that are less busy so I can drop by to have a meal. This feature is especially powerful for companies and business that have a local presence and to improve their ease of being discovered on Google. 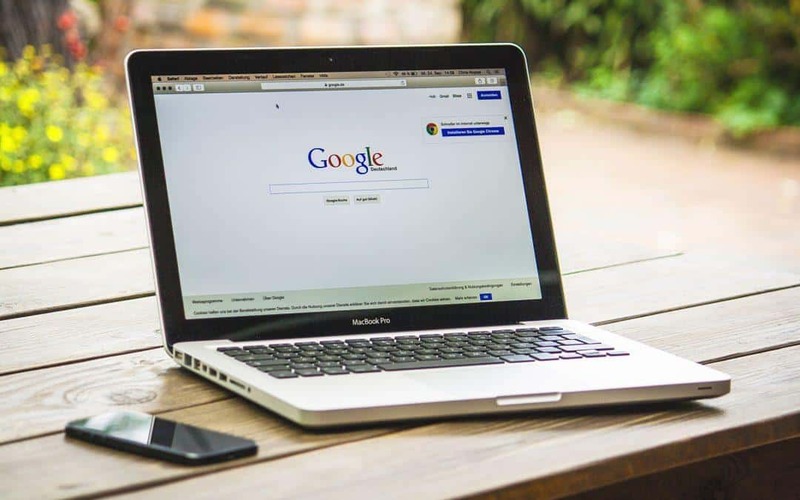 Other than the just conveying your business information, there are many reasons on why Google My Business is such a powerful tool that will be beneficial to your business. According to an article by Forbes, Google researched that over 67% of profile visitors would not research further if the company listing is complete. For profiles that are not complete, 41% of users tend to research further. So while Google My Business is helpful to your business, you can only take full advantage of it if you take the steps and effort in completing your profile. Let’s also look at the sheer number of users on the platform. Besides China, millions of computers and mobile devices are using Google search and maps by default. Even Apple users tend to rely more on Google Maps than Apple’s own map application. With that, most business searches especially local ones will benefit big time from a Google business profile. You might also find that your Google business account sometimes are being claimed by other people and that has happened quite often. It’s important to verify your account, and if another business claimed your profile there will be steps you can take to prove that you own the business. It is relatively easy to set up your Google My Business account. I will be creating a Google My Business account as an example so you can just replicate the process yourself. A physical address. Google will be mailing you a post card that is to be used for verifying your account. Phone number, as customers will need a way of contacting you. While a website is not needed from Google, it is always recommended to have one. Get good photos of your store and products that you wish to showcase to customers. To start things off, you will of course need a Google account (Do create one if you don’t already have one). You would then need to go to the Google My Business page and click on Start Now to begin your sign up. 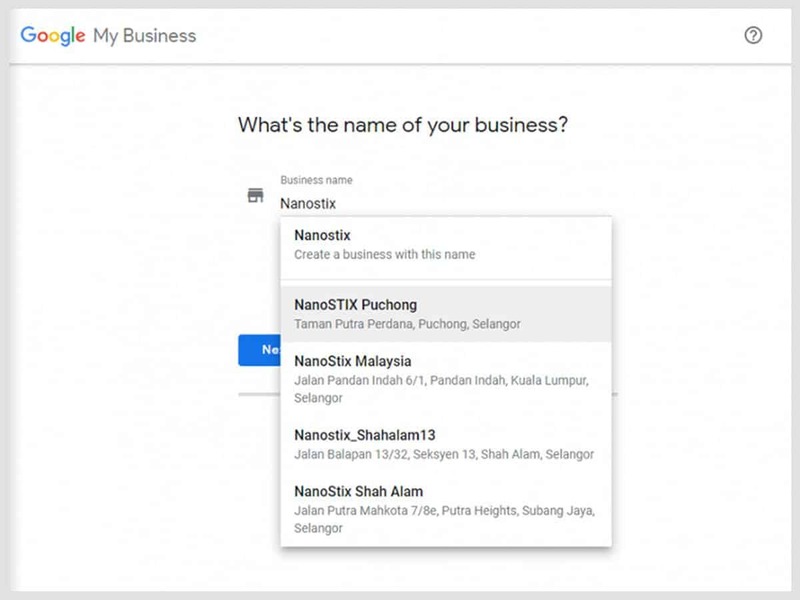 In the first section, you are required to insert the name of your business. 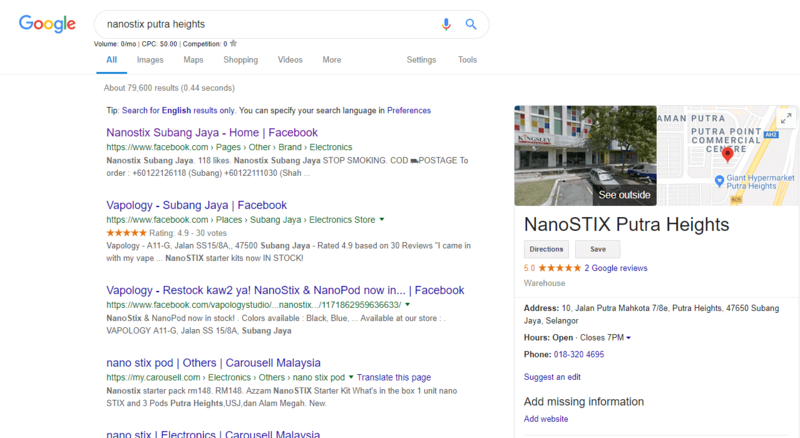 I have chosen to set up a business for NanoSTIX Putra Heights, as that is the area my business is located in. If you see that your business have been claimed by others, do follow the steps given to recover your account. In your next step, select yes to adding your location. You will then have to fill up your full business address and make sure everything is accurate so Google can locate you. The next section will ask if you serve customers out of the location. 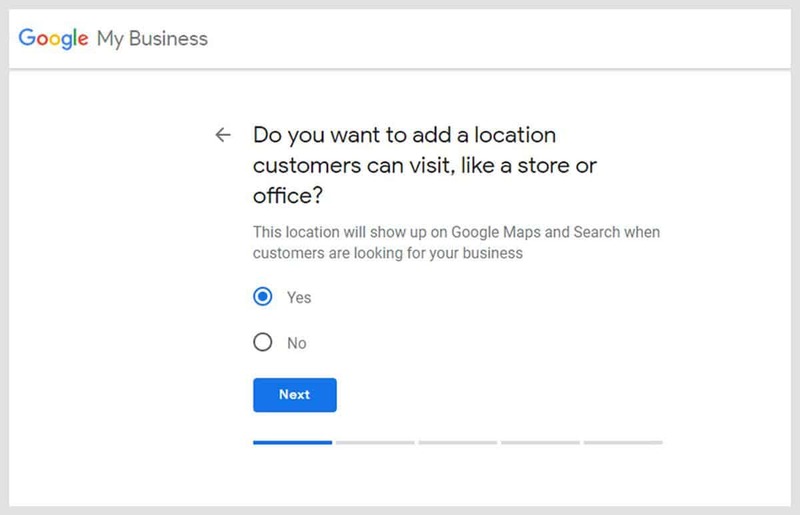 If you are an online or a retail business that sells your products or services to customers out of your location, click “Yes”. You will then need to add in the areas that you serve so Google further understand the reach of your business. Click “No” if you are a restaurant, or a retail outlet that do not provide shipping of your products. After setting up your location settings, you are presented the option to select the business category you are in. This can be edited in the future to remove and add categories, but make sure you are selecting it right. 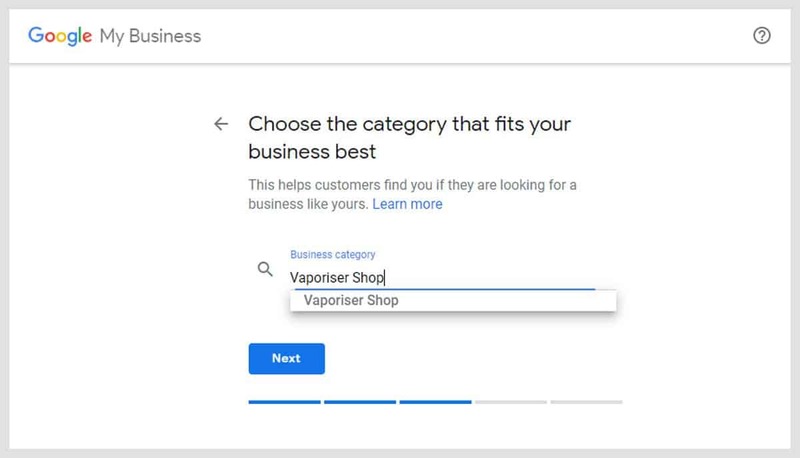 For this example, I am selecting Vaporiser Shop as that will be the nature of business for NanoSTIX. 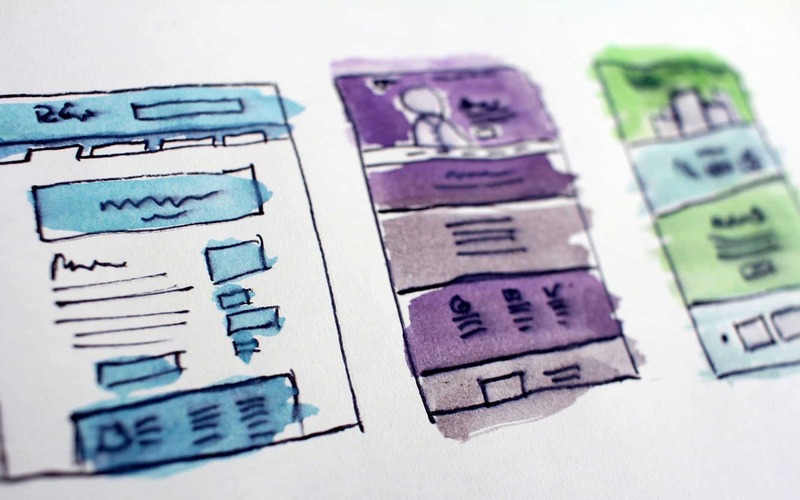 You can select up to multiple categories and make sure you are inserting the correct information to avoid customer confusion which could lead to negative reviews. After completing your category section, you will need to fill in your contact information. Here, you will need to enter your contact number, as well your website. 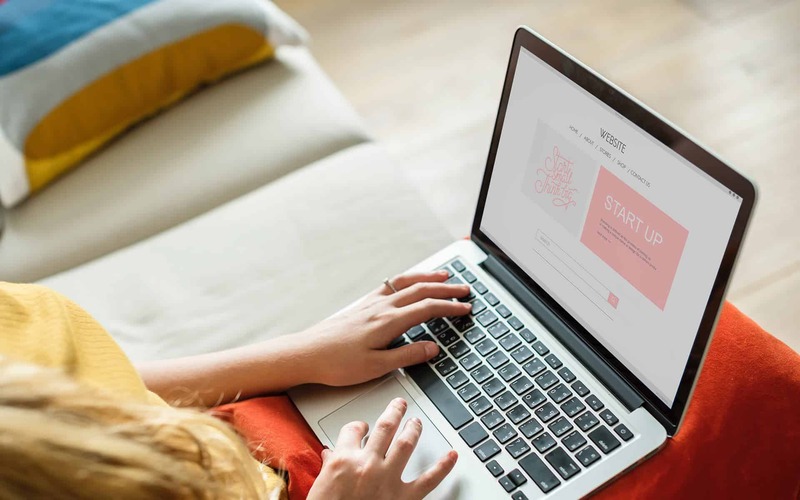 If you are a small local business that doesn’t own a website yet, Google can help you to create one based on your Business Listing information. 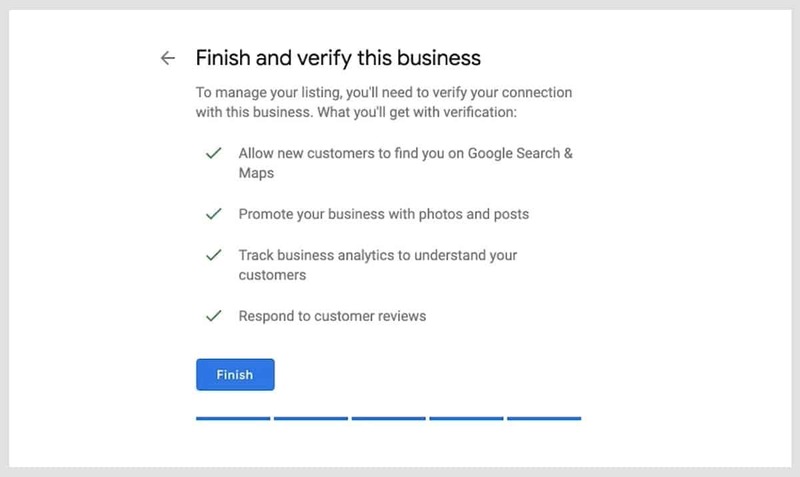 Now that you have reached the end of your application, Google will tell you that verification is needed to allow customers to find you, promote your business, and track analytics. After clicking on finish, you will reach the page where Google will need you to double confirm your delivery address so you can receive the mail which will contain your verification code. This process according to Google will take up to 14 days. After receiving your code, you will need to visit google.com/verifymybusiness to key in the code provided. Once completed, your profile should show up on Google Search. With this, the Google My Business card takes up 40-50 percent of the clicks from the first page. This will be an extremely powerful way to reach your customers in your area of service. So you have completed your verification and potential customers are now able to find and contact you. This is not the end of your journey, it is just the start. You will need to update your cover photo, read your reviews, and comment on genuine comments to engage with your customers. As your business grow, add in more information, and make sure your contact details are correct and always available. 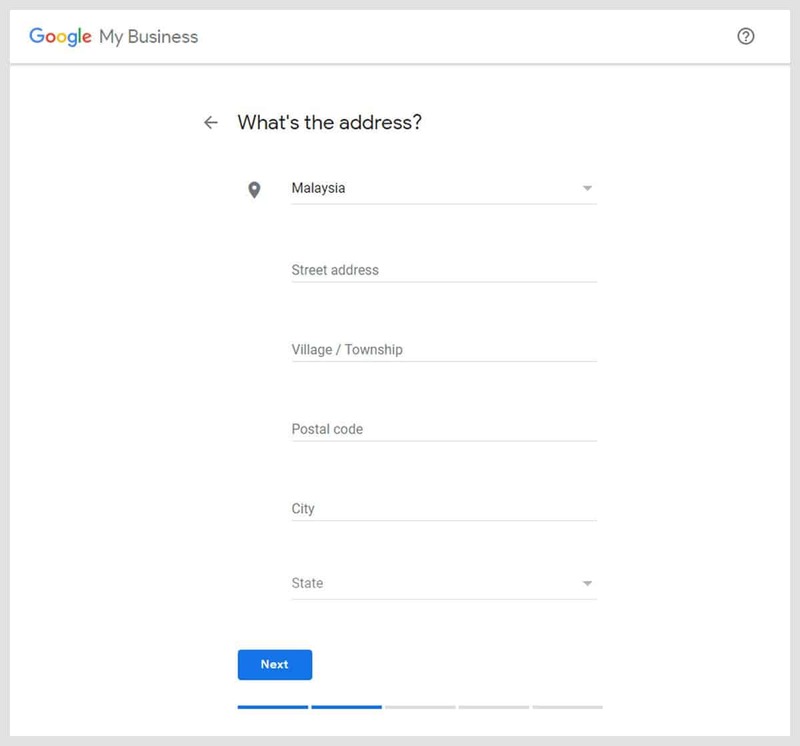 Now that you have your Google My Business set up, I wish you all the best in your business and do drop a comment or question below if you have one.